Release Date:06/29/2018;Notes:Vinyl LP pressing. 2018 release from the Welsh heavy metal band. There comes a point in every career of note, when it's time to dig a trench in the turf to define exactly who you are in a way that resonates in the broadest possible manner. For Bullet for My Valentine - now two decades deep into their story, one of rock and metal's foremost names, a genuine success - that time is now. 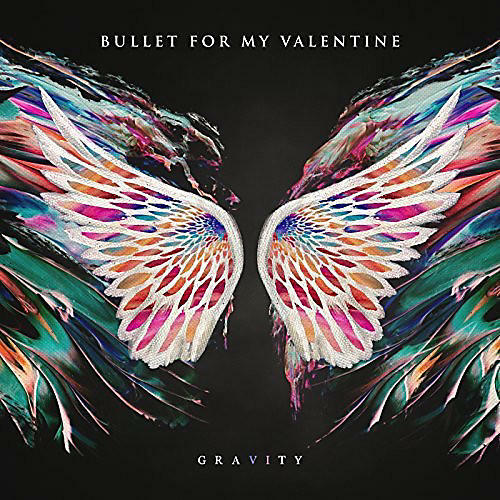 Produced and mixed by Carl Bown, Gravity (the UK band's sixth studio album and the follow-up to 2015's Venom) sees the musicians delivering a body of work that looks set to add extra layers of excitement and meaning both to their own trajectory and to the genre per se. At a time when the international scene feels ready for a serious shot in the arm, Gravity is an album of true craft and vision - an ambitious labor of love with the weight and the punch that the band's extensive, ever-burgeoning fan-base has come to expect.